Recently I had to rent a camera with a better sensor so I could shoot in the dark at a “black light party”. 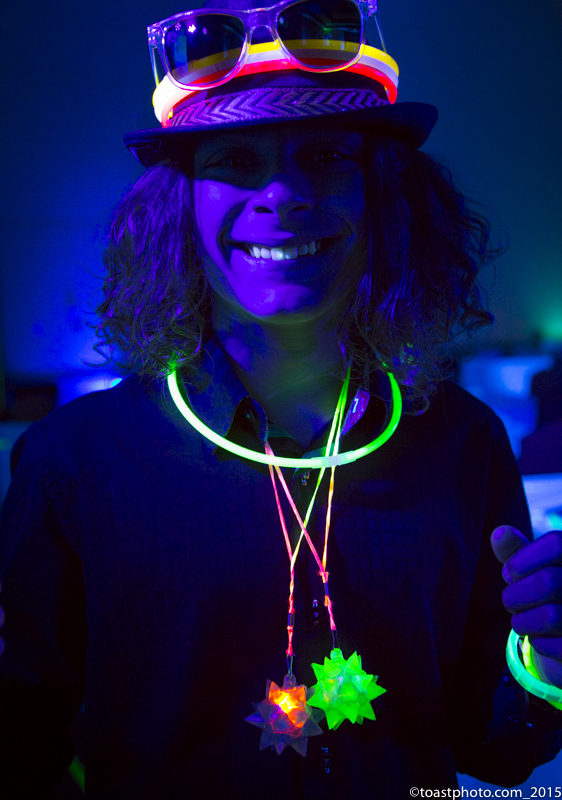 My client wanted to tell it was a black light party and I didn’t want to overpower the effects with a flash. My 5 year old camera turns to mush above 1000 iso. I was able to turn the rental camera up to 5000 iso. This was unheard of even 3 years ago. I think the contrast was weird but this was pretty cool to shoot in the dark at 100th of a second.